Bush Tax Cuts: The New Middle-Class Norm Much of the political focus when discussing the Bush-era tax cuts is on the wealthy, but they're not the only ones who would be affected if the tax cuts are allowed to expire at the end of this year. 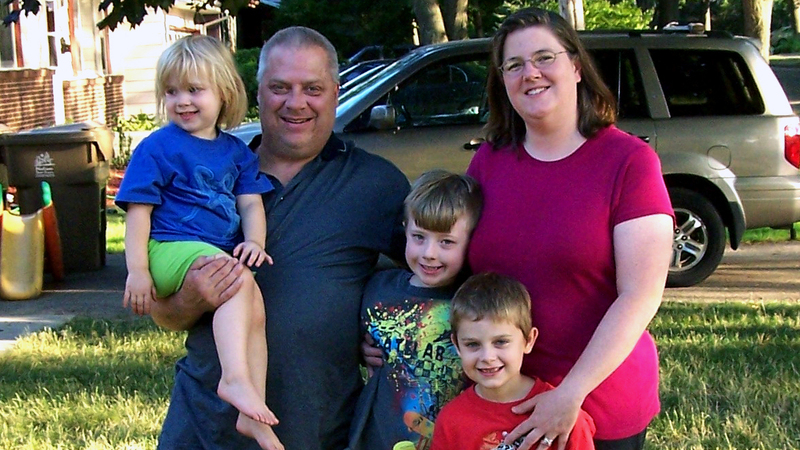 Josh Walling and Randi Cartmill with their children, Jacqueline, Josh and Ryan. Josh Walling says his family, whose household income is below the national median, would lose a substantial amount of money if the Bush tax cuts expired. The first in an occasional series, Fiscal Cliff Notes, which breaks down the looming "fiscal cliff" of expiring tax cuts and deep automatic spending cuts set to hit around the first of year. If the Bush-era tax cuts expire at year's end for all income groups, here's how much Americans with different annual income would be affected, on average. 1/2 = The reduction in the child tax credit. The child tax credit would drop from $1,000 per child to $500 per child. 50 percent = The tax increase on the first $17,500 of taxable income for families and couples and $8,750 for single individuals. The 10 percent tax bracket would disappear if the tax cuts are allowed to expire, meaning the first $59,300 of taxable income for families and $35,500 for individuals would be taxed at a 15 percent rate. Much of the political focus when discussing the Bush-era tax cuts is on the wealthy, but they're not the only ones who would be affected if the tax cuts are allowed to expire at the end of this year. The vast majority of American taxpayers would take a hit, including Randi Cartmill and Josh Walling, who live in Madison, Wis., with their three children. The family's household income hovers a little below the national median, in the $40,000 to $50,000 range. Cartmill says the tax cuts have helped the family's bottom line. "I remember when they went into place and being pleasantly surprised by how much more money we got back," she says. In part, that's because the tax cuts doubled the tax credit for each child from $500 to $1,000. The cuts also created a new tax bracket for the lowest levels of income, which gives most families an $875 break. If these cuts were to expire, the Cartmill-Walling family's after-tax income would drop by about $2,500. "That's a substantial amount of money," says Cartmill. "Generally ... what we do with our tax refund is we use that as kind of our savings in the bank for [if] the car breaks down or the water heater goes or whatever and we have a big expense all at once." The way Walling sees it, that's like a 5 percent cut to their income on top of other blows they've taken as a result of the tough economy. "I don't think my wife was explaining quite how hard it is, you know, but that's pretty much where it's at," Walling says. The nonpartisan Tax Policy Center estimates 96 percent of taxpayers at the middle of the income distribution would see their taxes go up "an average of about $1,800 a year," says Roberton Williams, a senior fellow at the center. "That will reduce their after-tax income by about 4 percent," Williams says. "Four percent if you're spending every dollar you've got makes a noticeable dent in your budget." To give a sense of the other side of the ledger, according to the Joint Committee on Taxation, extending just the higher child tax credit over the next decade would add almost $270 billion to the deficit.